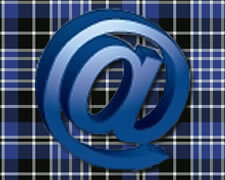 The Twin Cities Metro Pipe Band (TCMPB) contact page. Feel free to e-mail any of the people listed below for information on the band. The Twin Cities Metro Pipe Band is available to hire for parades and special events. We have several configurations available to accommodate you. We can provide a single piper up to a full pipe band featuring pipers, bass drummer, tenor and snare drummers. Contact our, TCMPB Band Manager, (tcmpbmanager@gmail.com) 612-504-9704, for a price quote and availability.